Although I say this with mixed emotions, I am really very happy for Billy Payne and Augusta National Golf Club. In his 11 years, Billy Payne has taken Augusta National and the Masters Tournament to new levels and under his leadership, the Club and the Masters have grown tremendously. Billy has been a strong leader and an innovative thinker, and I believe Augusta National, Masters Tournament patrons and the world of golf all have, in some way, benefitted from his brilliance. I have been blessed—or perhaps it is just a reflection of getting old—that I have known every Chairman in the history of Augusta National, and as a past Masters champion and proud member of the Club, I can say we were delighted to have had Billy as Chairman for these 11 years. Although sad that he’s stepping down, we understand that Billy has a lot of good years ahead of him, as he continues to be a member of the Club and source of counsel and guidance. I am confident he will serve the Club and the game of golf in the same manner that he has in the past. Billy has always thought about what is best for the game of golf, beyond the walls of Augusta National, but at the same time, never forsaking what is best for the Club and the membership. His rationale for leaving Augusta National at this time is again putting the Club before himself. Billy Payne has certainly established a legacy for himself at Augusta National, and I think the selection of Fred Ridley as the next Chairman will only serve to maintain, if not enhance, the work Billy has accomplished. Fred has been a trusted friend of mine for a long time, and is someone who has grown up in the game of golf. Our lives and careers have intersected on a number of occasions—whether it was the fact we both shared the same teacher in Jack Grout, or that Fred won the U.S. Amateur in 1975 at the same place, the Country Club of Virginia, where I played my first U.S. Amateur, 20 years earlier. Fred has been a good friend and wonderful counsel for me, especially as a member of the Memorial Tournament’s Captains Club. His help has been vital to the growth of the Memorial. 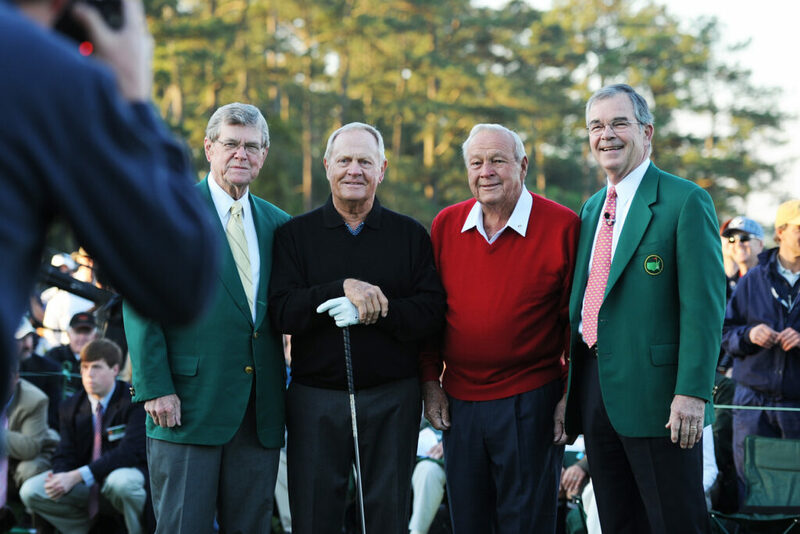 I have been fortunate to witness the way Fred has served as a leadership figure within the Captains Club, and I know that with his progressive thinking and love for the game, he will handle his leadership role as Chairman of Augusta National with style and class. Augusta National benefitted from Billy Payne for a long time, but we are very lucky to have Fred Ridley as the new Chairman of this great Club and tournament. Fred is a good man, and I’m sure everybody will welcome him as the new Chairman.